The holidays are upon us. A season about memories, giving, and family. That’s why this time of year makes us think so much about how everything got started here at Brockman. Harvey and Evelyn Brockman were true, inspirational entrepreneurs and their legacy fuels us still today. They never left things the way they found them. They made them better. They owned a gas station and a grocery store. They raised kids and taught them hard work and commitment and the value of keeping your word. They helped start the Oakdale Fire Department. They seemed to always be in the business of building good and lasting things. It was ultimately this trucking business, which started in 1938 with Harvey hauling cattle, that would change everything. He started small and simple with a vision for growth and good work. During World War II, 3M employed Harvey’s trucking service to haul freight. 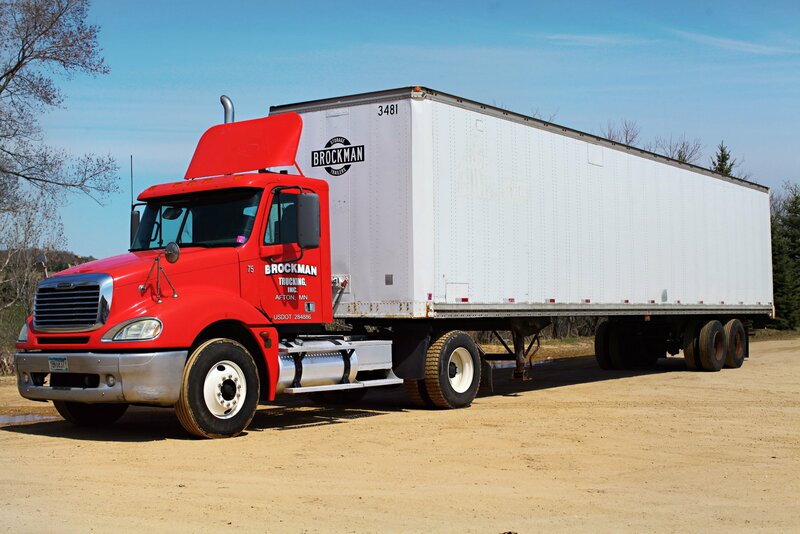 His work ethic and professionalism helped establish Brockman Trucking with 3M and the business began to thrive in new ways. It led to growth and eventually to the storage business. New opportunities developed and the business was handed over to their sons, Jim and Tom Brockman. Now the 3rd generation of the Brockman family has jumped behind the wheel of Brockman Trucking. The company continues with the same direction and vision started years ago: Building a strong company that cares about people. Providing a necessary service to hardworking people. Leaving things better than we find them. It’s that simple. And it’s what Harvey and Evelyn taught us. Brockman Trucking has come a long way since we hit the road with our first load of cattle in 1938, but Harvey would certainly be proud of the business that we are today. Merry Christmas from the Brockman Trucking Family!